March of 1986 saw the debut of the film Crossroads, for which Steve wrote and performed both the rock and neoclassical sequences of the now-famous guitar duel, and in which he also landed a starring role as the devil’s swaggering henchman, Jack Butler. Trailer clips of the film’s climactic musical showdown, with its mesmerizing cascade of diminished arpeggios, had just begun to explode adolescent minds across the country when David Lee Roth stepped into the studio with Steve to record his highly anticipated post-Van Halen grudge album. 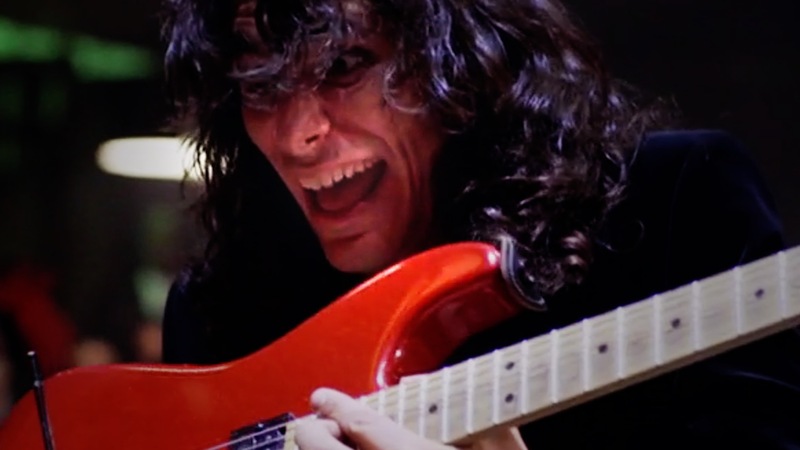 In this video, and our Crossroads Diminished Fours lesson, we take a look at a few of the film’s iconic guitar moments: those glittering diminished arpeggios, the devastatingly intimidating scale run that beings the duel, classic Vai-style pentatonic pull-offs, and more.